In Reader's Workshop, we worked on looking at the picture AND the first letter of the word to see if it makes sense! We introduced the students to "Lips the Fish" to get our lips ready for the sound the first letter makes. They all loved the silly song. We have assessed the class to see where each child is reading. At this point, the children should be reading at a level A.We will be working with each child to get them to where they need to be, but we are asking for your help as well. Many of our friends do not know their letters or the sounds they make. We are going to be sending home flashcards for you to work with your child each night. Please flash the card for the letter and the sounds they make. For example, B says /b/. This will help your child advance in their reading as we are looking at the picture and the FIRST letter. If they know the letter and sound, they will master this skill. Thank you in advance for your help! In order for your children to reach optimal success at school, we need to work as a team! Thank you! We have also been reading for 7 minutes. We did continue to practice our other strategies as well: looking at the picture while we read, building stamina, trading out books, practicing turning and talking. In Math, we work on decomposing numbers with totals up to 9. We wrote numerals 1-9 in order. We learned how to write the numbers and used the numeral to represent a quantity. In Phonics, we practiced letter sounds and learned the sight words "the" and "have", please practice these words at home. Our letters of the week were "a" and "g". In Science we learned about the life cycle and parts of an apple. We talked about how apples and pumpkins are the same and different. 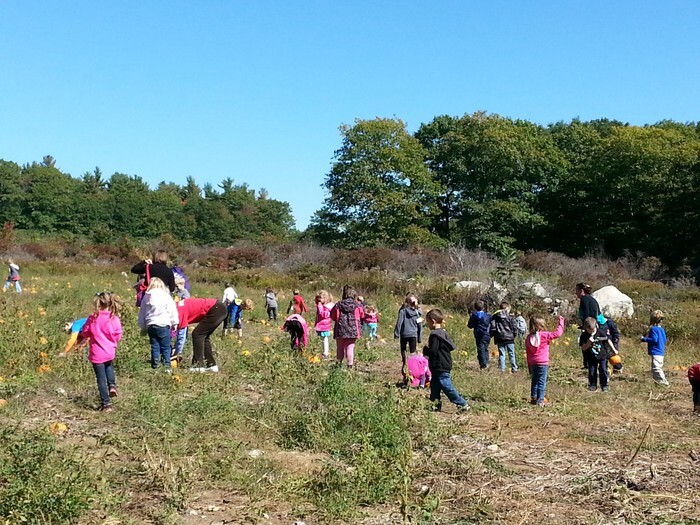 We went on our field trip to the Red Apple Farm. 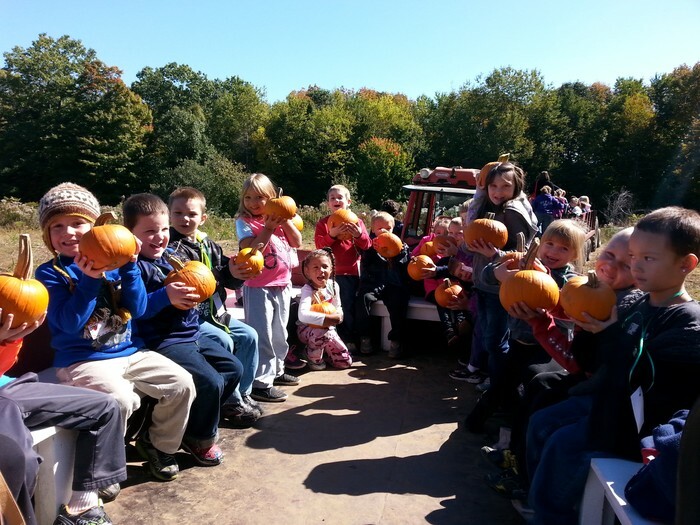 The kids enjoyed the wagon ride, picking their very own pumpkin from the pumpkin patch, trying apple cider, picking a bag of apples, and looking at all the animals. When we got back to school, we had an apple tasting. It was a very fun day! In Second Step, continued to learn about our own feelings. This week will be a short but busy week of learning! In Reader's Workshop, we are going to continue to look at the picture AND the first letter of the word to see if it makes sense! We are going to try to increase our stamina past 10 minutes this week! We will continue to practice our other strategies as well: looking at the picture while we read, trading out books, practicing turning and talking. In Math, we will work on decomposing numbers with totals up to 10. We will write numerals 1-10 in order. We will learn how to write the numbers and use the numeral to represent a quantity. We will also solve word problems by acting them out. In Phonics, we will be practicing letter sounds and learning the sight words "am" and "an" please practice these words at home. Our letters of the week will be "s" and "d". In Social Studies, we will learn about Christopher Columbus. 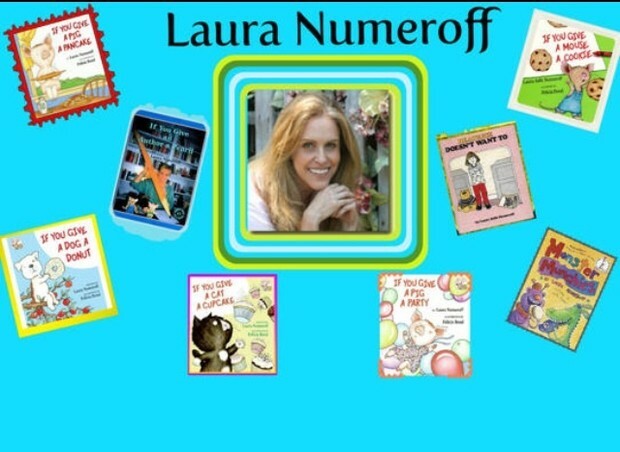 Laura Numeroff will be our featured author this week for our read alouds. We will be focusing on similarities and differences in her books. We will also work on retelling the story using props. Our picture day will be October 29. Great job working with your child on their homework! As a reminder, homework will go home Monday, please make be sure to return it to school on Friday. We are now just eating one snack per day, so there is no need to pack two snacks! Thank you! Our classroom is filling up with clothes that have no home! Please LABEL EVERYTHING!! If your child is missing sweatshirts or lunch boxes, please let me know. 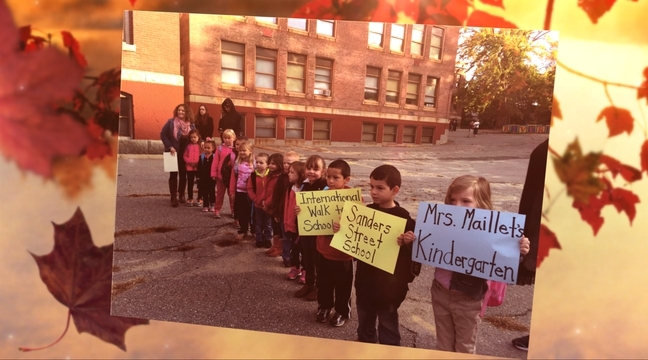 Thanks to everyone who helped out this week with all of our fun and exciting things from International Walk to School Day to the field trip the kids had a blast. The book order went in on Thursday and I am very excited to add some new books to our classroom library with all the points you are helping our class earn. I placed the book order on Wednesday. Thank you for your support! 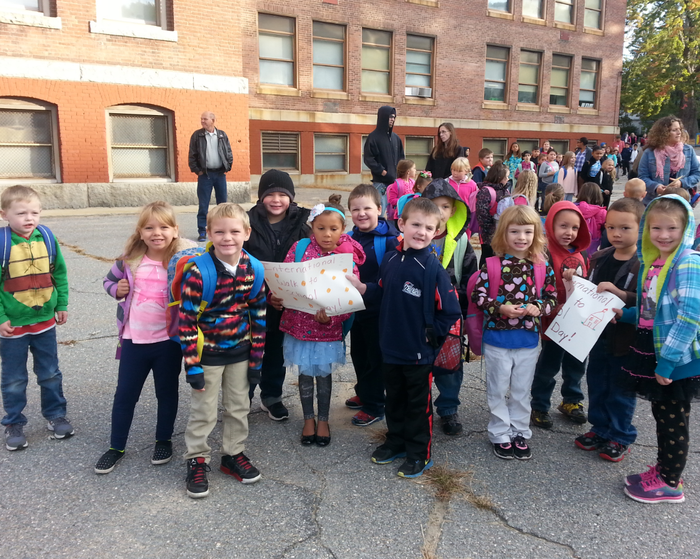 Thank you to all the parents that walked with us on International Walk to School Day, it was a big help! Also, thank you to the chaperones that joined us on the field trip, your help was greatly appreciated! Thank you! Thank you for all that you do! Keep up the great work!! !